If you are looking for some modern twist on the classic epic Fantasy setup, this isn’t it. Tallis gives us a straight Fantasy tale, complete with an evil mastermind who has been plotting the overthrow of the world for ages – and now his plans have finally come to fruition. We have a stark demonstration of the power of said evil mastermind very early into the story. It was at this stage, I bonded with Marval and his grumpy dragon Gralen. One of the other classic aspects of this book is the semi-omniscient viewpoint Tallis uses. To be frank, it isn’t a favourite viewpoint choice of mine, as writers who use it are too liable to canter through a story long on action and description, while being rather light on characterisation. However, Tallis writes with passion and eloquence that breathes life into her characters. There is plenty of description, but as the tone of the story inexorably darkens and becomes steadily grimmer, those descriptions, imbued with Tallis’s strong visual imagination and fluent writing add rather than detract to the story. An enjoyable addition are the beautiful illustrations drawn by Tallis herself, evidently a talented artist. 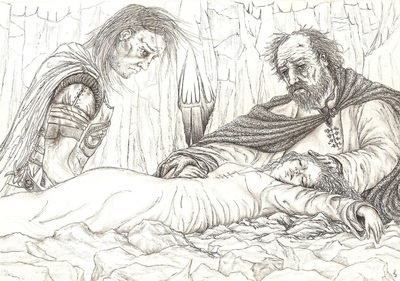 The initial light and affectionate exchanges between Marval and Gralen abruptly disappear after Marval’s abduction and draining as the tone of the book darkens. There is a real feel of danger – partly because Tallis isn’t afraid to kill off some of her more major characters. My personal favourite is Gralen, the impulsive and outspoken dragon. He manages to provide shafts of light relief throughout the book, which I very much appreciated as the stakes steadily go on getting ever higher. The climax – the huge battle – was every bit as big a deal as Tallis continually flagged. In fact, while I’d already realised she is a writer of ability and passion, it was her depiction of the major conflict that confirmed her as a gifted storyteller. Did I see the final denouement coming? Yes, but that didn’t really matter – because it’s what the consequences are going to be that will count. 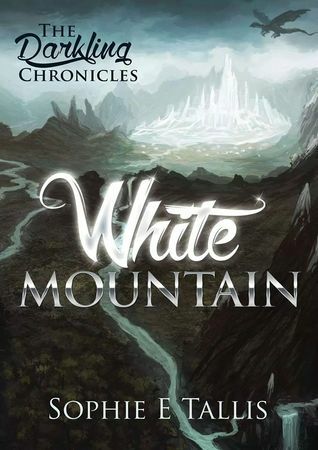 I will certainly be looking out for the second book in this series – and if your taste runs to quality epic Fantasy, then track down White Mountain – you won’t be disappointed. Sarah Higbee reviews Sophie E Tallis’s “White Mountain” on her “Brainfluff” blog – check it out!